Your tiny champ can carry his own milk bottle and learn gripping it owing to the handles on the case. 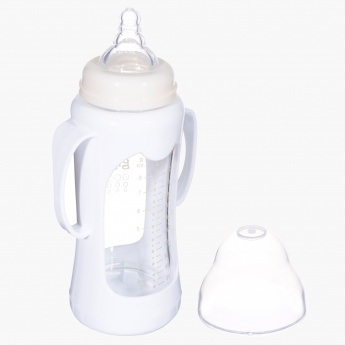 This tough feeding bottle comes with a lid and soft teats for your kids comfort. 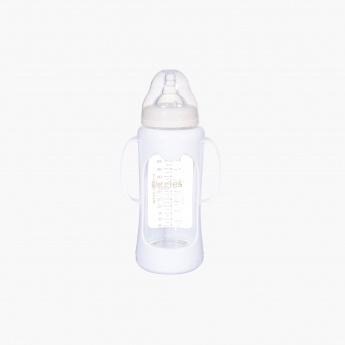 Easy to maintain, it is a smart pick.